Living in Texas, Tennessee, Colorado, California and Maryland, Kendrick continued developing his original genre blending music. 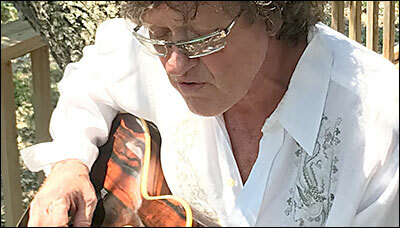 Performing randomly at places like the historic Bitter End in Greenwich Village, New York. Where many famous singer songwriters of renown that played the venue are memorialized in paintings on the back wall. Creating his own original Kendrick groove in a delightful catalog of songs, the elusive enigma artist started releasing his music with “Texas Paintbrush” in 2017, followed by the current “Texas Sagebrush” European release in the fall of 2018. Hear some of Kendrick’s best on “What A Pretty Day” and “Lonely People”, both featuring the captivating vocals of Sugar Buzz Rebecca White, from “Texas Sagebrush”. While “Private Miracle” and “Trouble & Pain” showcase Kendrick’s knack for writing truly timeless lyrics. 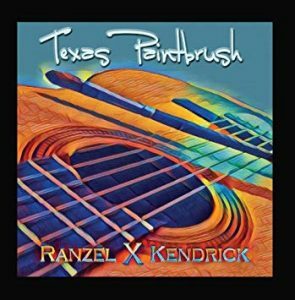 A great song from the “Texas Paintbrush” release is, “I Don’t Want To Go Home”, featuring the inspiring guitars of Kendrick with The Jimmy Kimmel Show master guitarist Toshi Yanagi. The 3 CD “Texas Series” wraps up with a 2019 New-Years release of the very last album, “Texas Cactus”. Featuring a variety of production styles, from guitar and vocal, to simple rhythm sections, to more complex arrangements, each CD offers its own pleasant emotively visual listening experience in the consistently fresh Kendrick vibe.